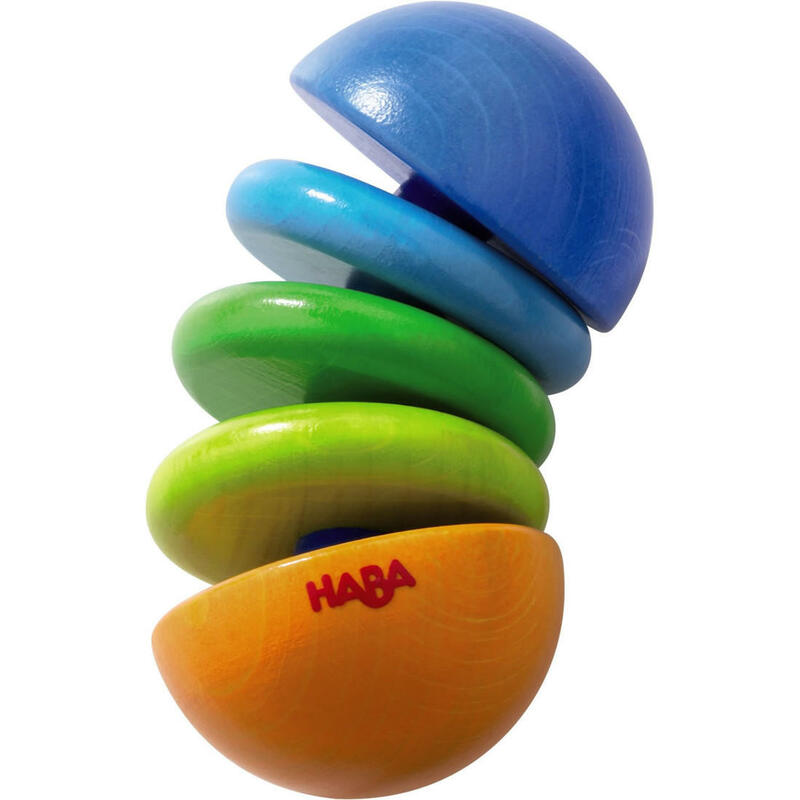 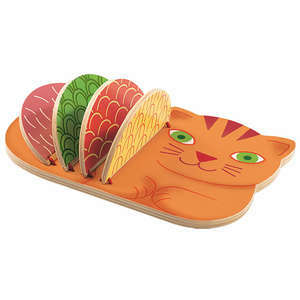 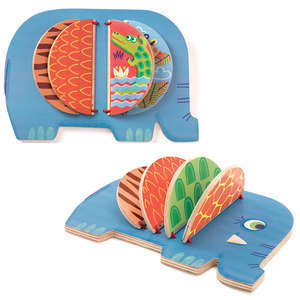 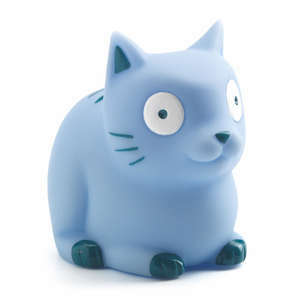 The Klick-Klack rattle from Haba is a colourful wooden first clutching toy for babies. 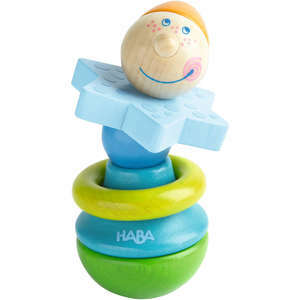 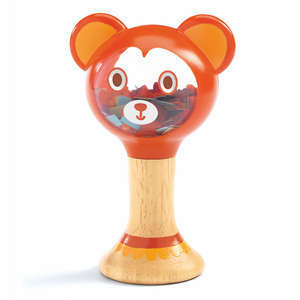 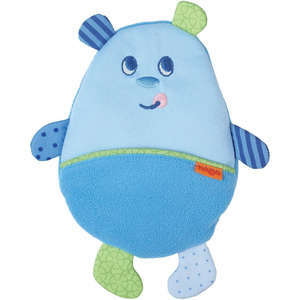 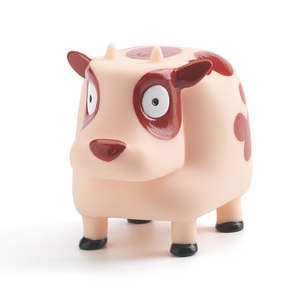 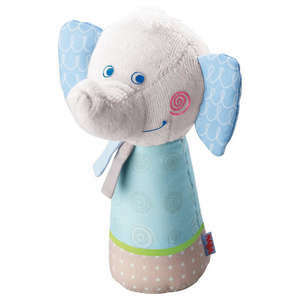 The vibrant colours and click clack sound will appeal to young babies, and parents can be sure that the rattle has been made to Haba's usual high quality standards. 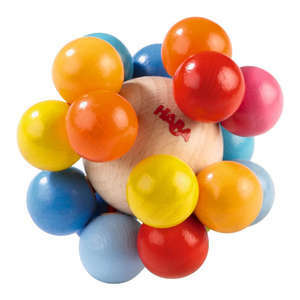 Klick Klack has been made from beech wood and is so smooth you can't resist playing with it. 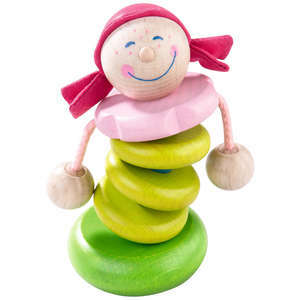 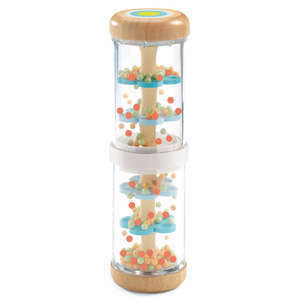 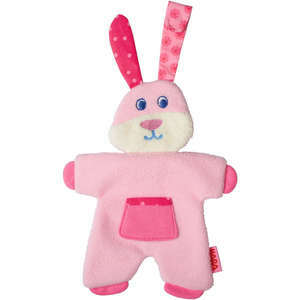 The wooden rattle encourages the development of fine motor skills, as babies find they can twist, bend and shake the toy. 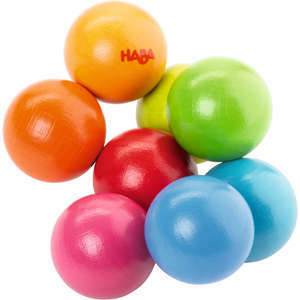 Made in Germany to very high standards. 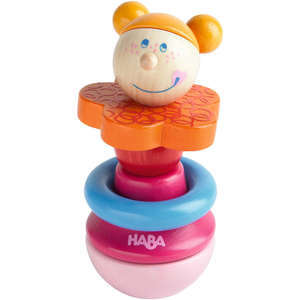 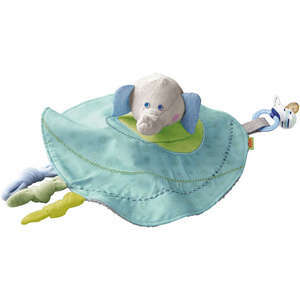 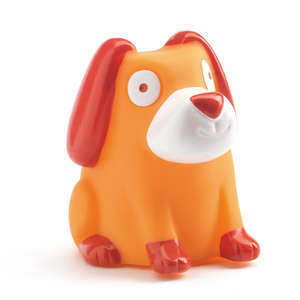 Haba use only water based colours and varnishes so their toys are safe for babies to put in their mouth. 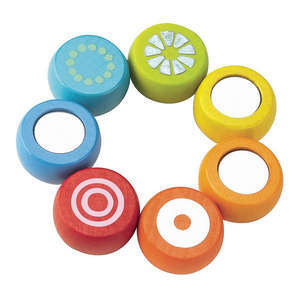 Approx dimensions: 9 x 5cm.